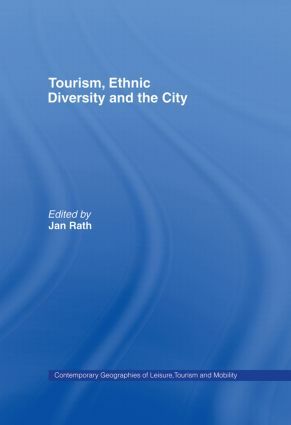 Tourism, Ethnic Diversity and the City fills a gap in existing research in terms of how immigration relates to urban tourism and investigates the new theoretical insights and challenges for empirical research using informative case studies drawn from several advanced economies in Europe, North America and Australia. This enlightening book clearly explores the frontiers of knowledge on the interrelationship between tourism, migration, ethnic diversity and place. Exploring further the manifestations of ethnic diversity that have been commodified by immigrants in gateway cities, questioning how these expressions of culture can be transformed into vehicles for further developing the urban tourism economy. Tourism, Ethnic Diversity and the City presents a multidisciplinary approach drawing on key names from the field of geography, sociology, planning and political science and will appeal to those with an interest in any of these areas. Tourism and New York’s ethnic diversity: An underutilized resource?